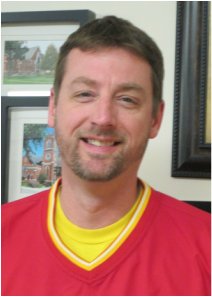 Pastor Shields has served churches in Rantoul and Pontiac, and was most recently an Associate Pastor and Youth Director at St. Marks Lutheran Church, Lindenhurst IL. He regularly travels to Africa to train pastors there. Pastor began his work here in 2017. He and his wife, Lisa, have five grown children and six grandchildren. Pastor would love to get to know you. Please feel free to join us for worship or drop by during office hours. ​Our Office Manager is June Ohlson. If you have a question or need to get something done, talk to June. You will always get a smile and willing help. 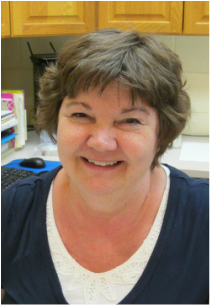 June sees her responsibilities as: Supporting the Mission of First Lutheran Church by fostering a good working relationship with the Pastor, membership, lay leaders, and the general public. To sum it up, she is to know who’s who, what’s where, how it works, if it was done here before, and the rest of the story. ​Our building custodian is Jeff Jaques. Jeff is committed to keeping this old building beautiful, ready for worship, fellowship or service. This is a second job for Jeff, so you will see him here mostly on evenings and weekends. Be sure to thank him for his service to the congregation. ​Director for the last 15 years, Mary Lee loves music, loves worship and loves Jesus. She feels she is blessed with a choir that feels the same way.